The Redskins are sitting at 2-4 and face the 2-3 Tampa Bay Buccaneers in what is a very crucial game for the Redskins. The Redskins have been hammered by injuries all season long and true to form they will be without running back Chris Thompson, center Kory Lichtensteiger and wide receiver DeSean Jackson. But, they did learn they will get left tackle Trent Williams and tight end Jordan Reed back after suffering concussions. Reed has missed the last two games and Williams sat out last week. because of the mismatches he creates against linebackers. Thompson has an injured back and has said he feels better, but he would have to have a miraculous recovery to play Sunday. Thompson is the Redskins 3rd leading rusher and their 4th leading receiver. In today's NFL it is very important to have a 3rd down back that can make some big plays to keep drives going. 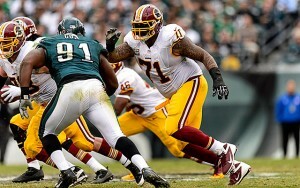 The Redskins are hoping to get Trent Williams cleared from his concussion that forced him to sit out last week. return should help quarterback Kirk Cousins' peace of mind in knowing that his backside will be covered and Williams should really help open some running lanes for the running backs. Redskins tight end Jordan Reed is also expected to be cleared this week after missing the last two games because of a concussion suffered three weeks ago. Reed is the Redskins 3rd leading receiver and will definitely help a struggling offense and quarterback. Reed, at 6.2 237 pounds is not your typical inline tight end, but he is very versatile. The Redskins do line Reed up as inline tight end and they also split him out. Reed is also a very good runner after the catch and is a touch matchup for linebackers and safeties. The Redskins are hoping that Jordan Reed is cleared from his concussion that forced him to sit out two games. injured hamstring he should be a big part of the offensive game plan along with wide receivers Pierre Garcon and rookie Jamison Crowder. The Buccaneers have been tough versus tight ends, but Tennessee's Delanie Walker and Carolina's Ed Dickson each had pretty good games against the Buccaneers defense. I think Reed could get anywhere from 6 fantasy points to 12 fantasy points depending on the type of league you are in. The Redskins backfield is hard to project with Alfred Morris and Matt Jones splitting carries. Matt Jones is the bigger and faster back so I would have him as my starter and bring Morris in off the bench. Jones should also add some receptions this week with Thompson out so that could give him some extra fantasy points. Jones should also be the red zone running back this week as well. Jones could get anywhere from 4 to 11 points this week against the Bucs. Morris will get anywhere from 3 to 10 points depending on the flow of the game. Redskins quarterback Kirk Cousins has struggled as of late, but he has not had much help as many of his best offensive teammates have been injured. Quarterback is the number one position where you must have good players around you to be productive. With Reed and Williams coming back that should help Cousins out a lot. He will still be missing Thompson and Jackson as I stated earlier. The Redskins should really feature the run game and play action pass off of that to help take some of the burden off of Cousins. Last week versus the Jets, Cousins attempted 43 passes which is way too many in my opinion, but the bad news is that isn't his most completions attempted in a game this season. He also attempted 49 passes in a loss to the Giants and 46 in a win versus the Eagles. That is way too much passing in my opinion. A good game for Cousins this week could see him possibly get 16 fantasy points tops. 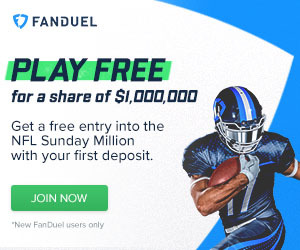 should be able to get between 7-10 fantasy points. If he is able to score a touchdown it could go higher. 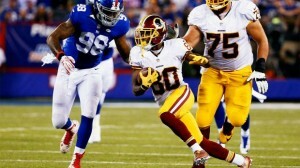 Jamison Crowder in my opinion is being asked to do some things he is not able or ready to do right now. I felt the Redskins reached for him where they drafted him. He should be able to score anywhere from 5 to 10 points.